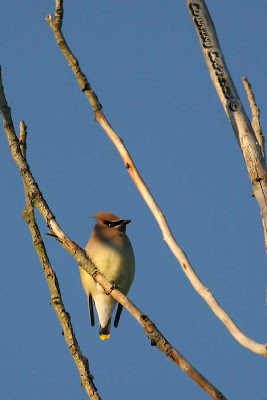 Although common in our area the Waxwings are not frequently seen. In this case a small flock was perched in the branches of a dead Lombardy Poplar and allowed my wife & I to walk by on an evening stroll. Little did the bird know that soon its image would be seen around the world. Back in the ‘70s we had a large population of Cottontail Rabbits in our rural area. The population began to wane in the late seventies- early eighties. 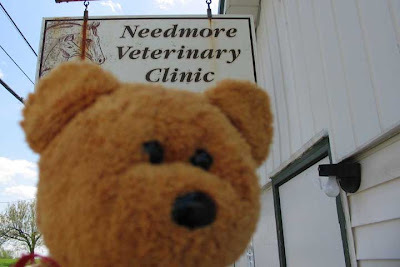 The population remained low for the next two decades. It is well known that their population is cyclical but this down cycle seemed exceedingly long. Some surmised that possible causes of the decline could be linked to the changes in farming practices. Fencerows have been removed with the demise of the small diaries and replaced with larger crop fields thus removing much of the cover that once offered protection. Crop farming has changed from one of tilling the soil to where it is now a chemical intensive operation. Many blame the increased population of predators. Hawks, owls, foxes and coyotes all shared the blame. During my youth hawks were considered creatures to be shot on sight and many rural folks did just that. 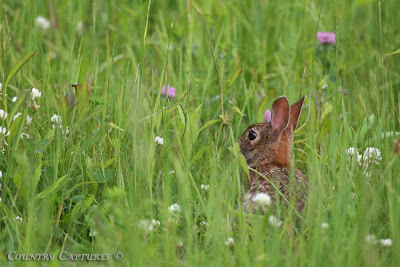 Today we are experiencing a resurgence in the Cottontail population. I first noticed this trend beginning a couple of summers ago. The local rabbit population is now the highest that I have seen since the decline began those many years ago. 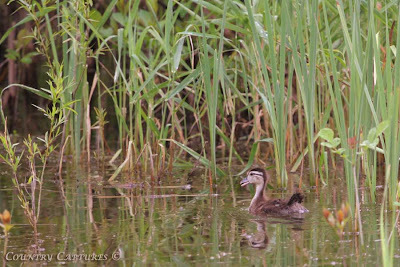 I captured my first duckling shots of the year while visiting the wetlands the evening of May 15th. A few moments after I captured this image the ducks became alarmed and scattered while their mother performed the injured duck routine in an attempt to lure me away from her brood. This evening I again went in search of the Wood Ducks and found this duckling foraging along the edge of a stand of reeds in the same area. Notice the maturity difference compared to the first photograph taken twelve days ago. Not only is the duckling considerably larger but it now has noticeable tail feathers. Also I should note that I have not observed the hen during my last two encounters with the ducklings. Whether it is normal for the hen to spend time away from her brood at this stage of development or whether she has met with a calamity I do not know. When alarmed the flightless duckling displays the rapid take-off that Wood Ducks are well known for. I was approaching the wetlands as discretely as possible when I encountered a number of ducklings feeding in the shallow water. The ducklings discovered me only seconds after I noticed them. As I was attempting to get a clear shot through the intervening willows the ducklings departed rapidly. The out of focus willow leaves imparted a green cast to the duckling in this shot. 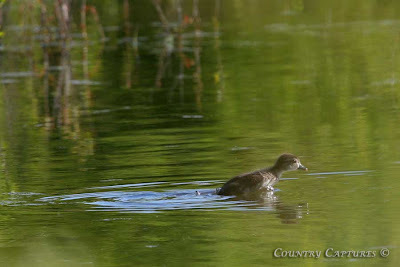 Each time I encounter these Wood Duck ducklings they always scatter, each going a separate direction to find shelter. Nature provides many different defense techniques for wildlife young to insure the future of the species if not that of the individual. By scattering even if an individual duckling is caught by a predator the remainder of the brood will probably survive the attack. While fishing our local lake I noticed something floating with small ripples coming from it. 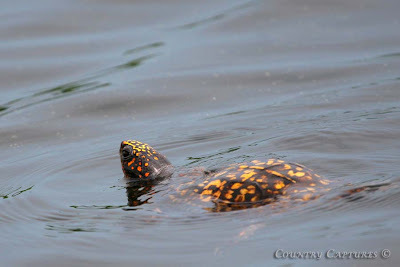 Imagine my surprise when I discovered that it was an Eastern Box Turtle swimming across the lake from east to west. At that point the lake is about two hundred yards wide and the turtle was near the mid-point. The little land turtle did not seem to be having any difficulty navigating the lake, swimming with its head above the water some of the time and under at others. I stayed with it for a little while noticing that it maintained its direction of travel in spite of the wind & small waves. At one point I intervened and turned the turtle back towards the eastern shore. Without a pause in its swimming it immediately turned 180 deg and continued on its westward course. Eastern Box Turtles are common in our local woodlands but this is the first I have ever encountered one crossing a body of water. With its sense of direction and the desire to not deviate from its course apparently the turtle knew exactly where it was going.. 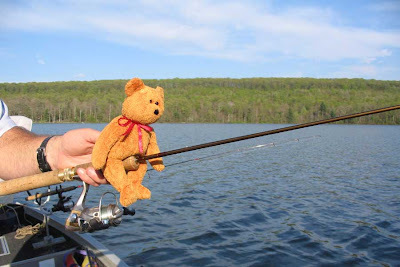 Fishing the local lake this morning I again encountered the lone Redhead. He seems to prefer one particular area. During each visit I find him in within a one hundred yard stretch of shoreline. Never passing up an opportunity to photograph this migratory straggler I again fired a number of frames as he swam along the shore trying to put some distance between us. While reviewing this image I noticed that something looked strange about his eye. A closer examination revealed that he was blinking. 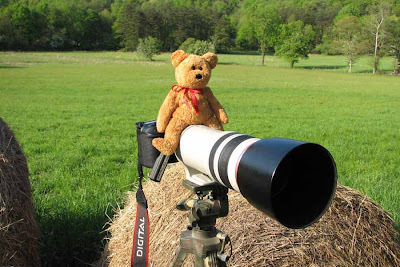 For Critter of all kinds visit our friend Misty’s Camera Critter Blog. 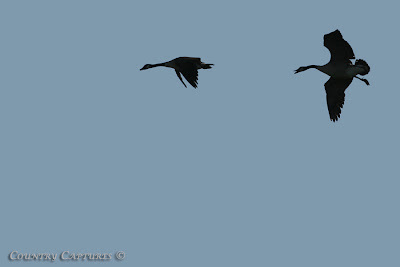 A pair of geese approaching the wetlands prepares to land. 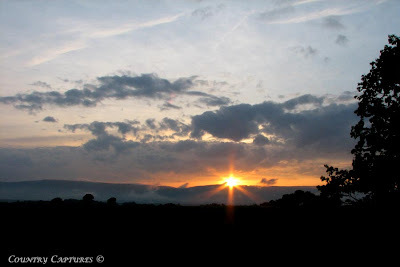 With the exposure metered for the sky the camera captured only the silhouettes. Not expecting much, I was pleasantly surprised when I reviewed the image. After dinner this evening I made a quick dash to the local wetlands. 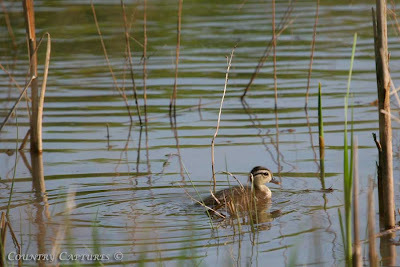 The wood duck ducklings were scattered along the eastern shoreline feeding. The little critters were very much on guard and scattered into the marsh. With the strong backlighting from the evening sun nearing the horizon the images I managed to capture of the fleeing birds left much to be desired. Moving to the western shore I took a position partially concealed near the waters edge. A short time later a Bullfrog surfaced close by. The light was perfect, the frog was facing me directly and its legs were spread symmetrically below the surface, the perfect shot. As I brought the camera into position I realized that I needed to flip the focus button to close-up. While fumbling with the tiny slider the frog became alarmed and submerged. 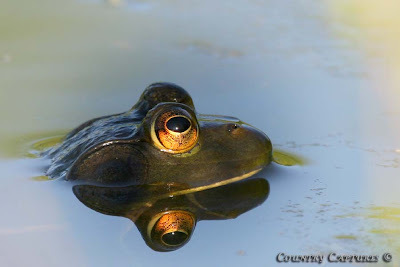 As the shadows lengthened, this Bullfrog surfaced only a few feet away. Slowly bringing the camera on target I fired a few shots. 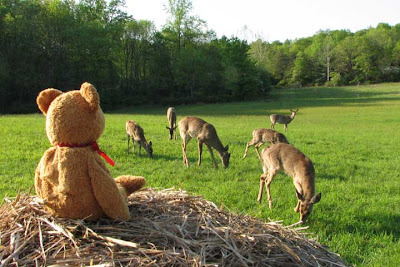 This image in no way compared to the “one that got away”. Although the skies were clear the gray early morning mist swirled slowly about the wetlands until well after sunrise. 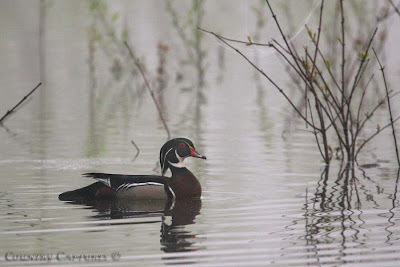 The mature Wood Duck drake swam cautiously past my camouflaged form hidden among the bushes along the shoreline. The duck knew my shape was out of place in the habitat he knew intimately. Fully aware that danger can lurk motionlessly, he swam slowly watching me intently until there was a screen of brush between us before exploding into flight. I’m sure that he thought that his evasion tactics were successful however he was unaware that I had gotten exactly what I wanted, an image of our most colorful duck. 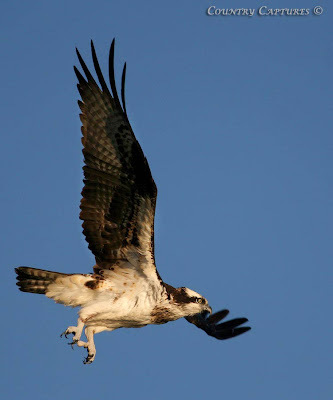 Since combining fishing/boating with photography Ospreys have given me a great many photo-ops. These images were captured during my latest encounter over the weekend. As I slowly motored into a small cove the Osprey flew from a tree and perched farther back in the cove partially hidden by foliage. Readying the camera I continued my slow approach intent on capturing as many images as possible when it again took to the air. 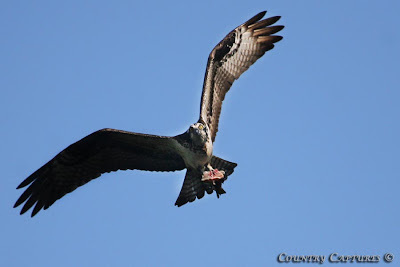 When the Osprey again took flight I could see that it was clutching prey in it sharp talons. The bird flew to my right then executed a sharp banking right-hand turn passing over my head. 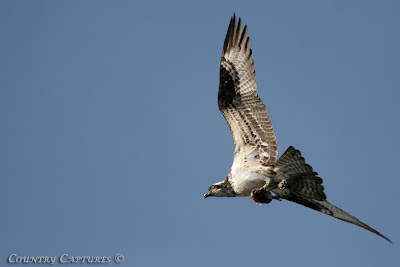 This image with strong sidelight was captured during the Osprey’s approach. Swiveling on the boat seat I captured this image as the Osprey flew away with its partially eaten fish. While reviewing these images I could not come to a conclusion as to which image had the most visual impact. 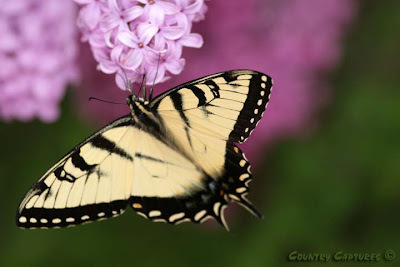 I would very much appreciate your comments as to your favorite. 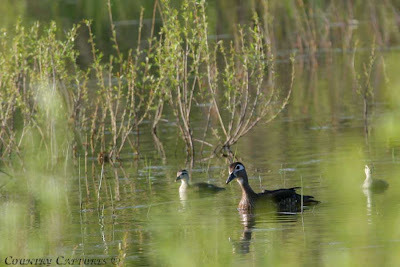 While walking into the wetland last evening I disturbed a Woodduck hen and her brood. The hen played the cripple as her ducklings scurried out of sight, all going in different directions. Once she was out of sight I heard her flush. Some time after I concealing myself the hen did a flyby and on the second pass she landed and began regrouping her little family. Today was the perfect May day, clear skies with white fluffy clouds and temps in the mid seventies. After supper I visited our local wetland. 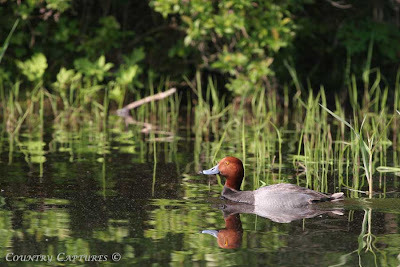 The wetland was a hubbub of activity with a great variety of bird and insect life flitting about. 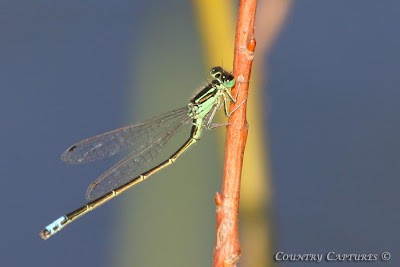 While sitting along the water’s edge my attention was drawn to the diminutive damselflies patrolling the shoreline. This exquisite little creature perched a few feet from me allowing me to capture a number of handheld macro shots using the 400mm lens with a 25mm extension tube. Sky Watch & Dorothy continued…. 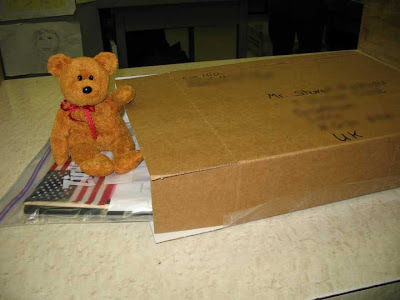 The postmaster was all smiles as she took charge of sending Dorothy off to the UK! Good bye Dorothy, imac will take good care of you! If you aren’t familiar with Dorothy please refer to yesterday’s post. 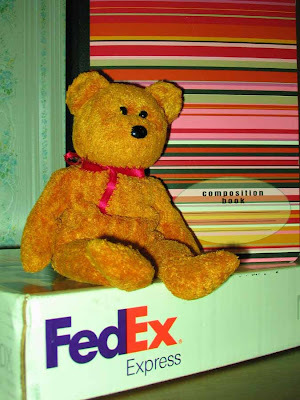 Recently a little Lodger named Dorothy arrived via FedEx. 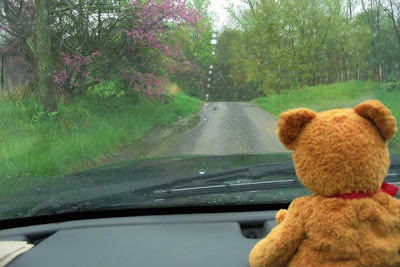 Dorothy, a little Beanie Bear, began her travels in Kansas. She is a class project and her goal is to travel the world informing her class of her adventures and finally return by January 15th with photos and a journal of her travels. 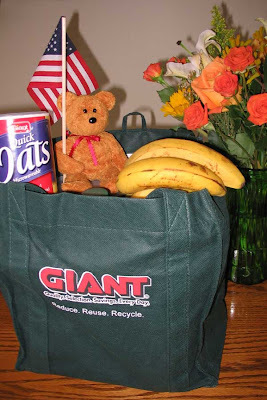 Her first stop was in Florida where she visited with our son Chad and his lovely wife Sandy. While there she visited Walt Disney World’s Magic Kingdom. 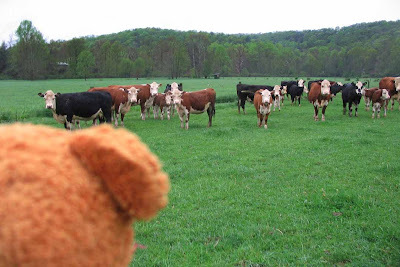 Now Dorothy knows the answer to "Where's the Beef?" With a herd like this she may be back for Hunting Season! 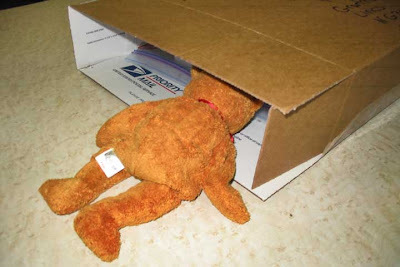 Tomorrow Dorothy will crawl back into her box and head across the pond to the UK. There she will be greeted by our friend imac for new adventures in the Old World. 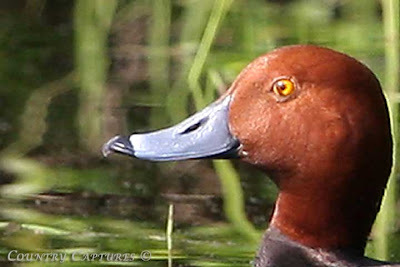 The lone Redhead male still remains at the local lake long after his brethren continued on their spring migration. 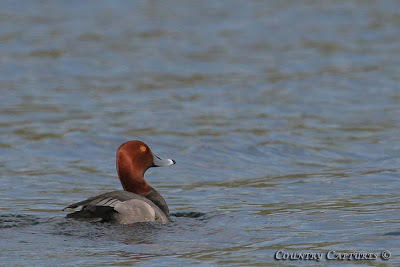 When I visited the lake Sunday afternoon I observed the Redhead quite some distance from the shore diving occasionally. Today when I approached the Redhead, instead of flying, he evaded by executing an explosive powerful dive. Hoping he would pop back up near the boat, I stayed in the area for about ten minutes with no sign of his reappearance. Why this duck has remained here is a mystery. 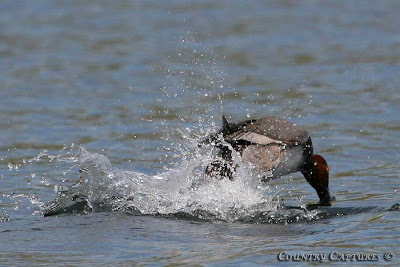 I have seen him fly on a number of occasions although he never flies more than a couple of hundred yards before settling back on the lake surface. Perhaps he has a minor injury that impairs his long distance flight or perhaps he is lost. Whatever his reason for remaining here is I will probably never know but his presence has been an unexpected bonus giving me more photographic opportunities and another point of interest during each lake visit. 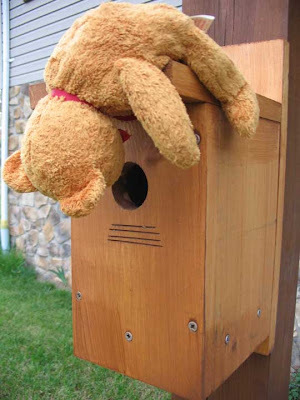 During the winter I built a few Bluebird boxes to place about my home. 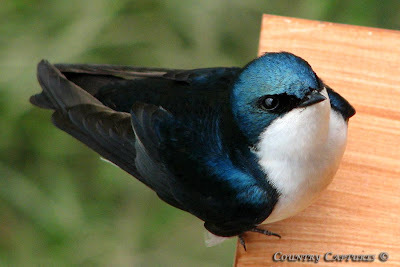 A Pair of Tree Swallows have taken up residence in this box attached to a deck support post. While standing by the deck rail above the box this afternoon the swallows became concerned about the intruder and circled about quite closely before one lit on the box allowing me to capture this image. Captured with a Canon S2 IS point & shoot from about six feet. 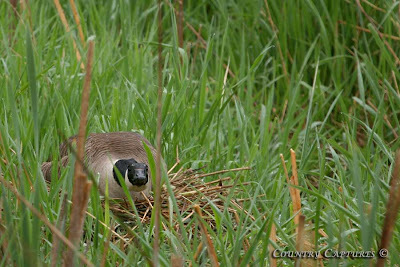 While walking along the berm of a local wetland a goose flushing drew my attention to this honker sitting quietly on its nest. She was so well camouflaged that without the other goose’s presence I would not have noticed her motionless form. When I left the house this morning the sky was clear as the last stars twinkled out but before sunrise heavy clouds covered the sky not breaking until it was nearly time for me to depart. Shooting waterfowl and birds of prey in flight ranks up near the top of my favorite outdoor experiences. With a good Osprey population in our area frequently they are the subject I find myself tracking through the camera viewfinder. Usually the Ospreys are too far for good photographs but on occasion while boating around a point in the lake I will catch one unaware. Such was the case when I surprised this magnificent bird at close range. Maintaining the ISO and aperture settings as the light changes pays dividends when moments like these occur for there is no time to be tinkering with buttons and knobs as the Osprey takes Flight. With the memory of the past hunting seasons fading and the presence of numerous non-threatening boats on the lake, the Canada Geese are allowing me to approach much closer than was possible just a few weeks ago. After finishing fishing I slowly maneuvered the boat into the tiny cove where this pair of geese was feeding. Pausing to watch as I approached they resumed feeding after I quietly slid the anchor down. I have not observed any goslings on the lake and do not believe that any geese have nested here this year. Upon my arrival before sunup I am unable to locate any geese. Loud honking shortly after sunrise alerts me to their arrival as they fly in over the mountain from the adjoining valley to the east. Apparently these geese prefer the farmland for nesting and visit the lake for feeding. Visiting the lake again Saturday morning I was somewhat surprised to find that the lonely Redhead is still here. 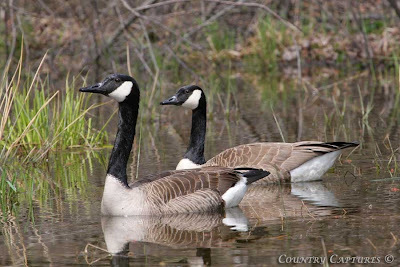 All of the other migratory waterfowl species have now moved on. 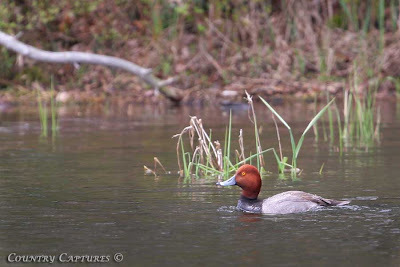 Since last week the pied-billed grebes and the loons have departed leaving only the single redhead along with the nesting Canada geese, woodducks, and mallards. I noticed this year that the exodus of the diving ducks coincided with the end of the perch spawn. Perch spawn in 2-5 feet of water while the water is still quite cold. The egg masses form long gelatinous masses easily visible from the boat on a calm day. I also noticed during the spawn that wherever I noticed a group of divers a closer look would reveal perch spawn littering the bottom. Perhaps perch eggs are the delicacy that draws the migratory duck to this little lake. The Redhead appears to be healthy and will take to the air if approached too closely only flying a short distance and swimming back to his favorite stretch of shoreline soon after I move past. I plan on watching for this duck’s late departure as he has stayed much later than normal for ducks of his species. 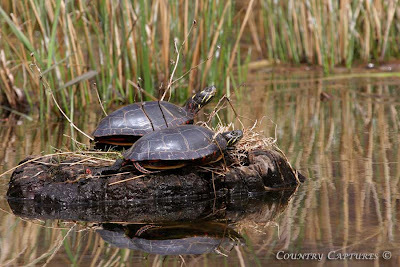 Sunshine brings the Painted Turtles out of the chilly spring waters to bask in the warm rays. These colorful turtles are somewhat shy, slipping quietly into the water if I happen to approach too closely with the boat. This pair surprised me when they allowed me to maneuver the boat to within fifteen feet.